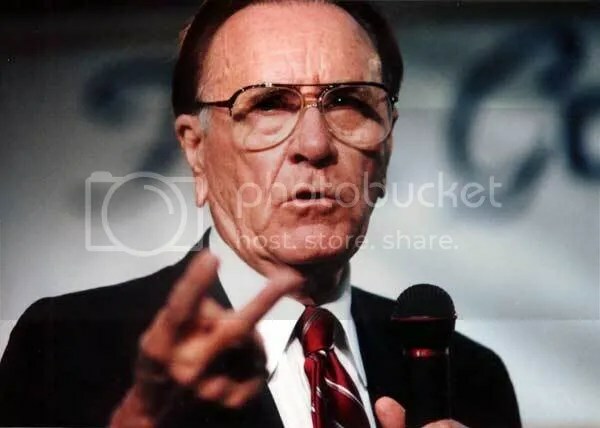 Oral Roberts died today in Newport Beach, California. Thanks to Erin Amos for letting me know. According to this TulsaWorld article, he took a fall on Saturday and suffered some broken bones. I’m deeply moved and still experiencing gratitude for the education I received at ORU. More thoughts will follow later. I like that Sarah also says, “His faith was enormous.” It’s so true. My mother and I were talking about him yesterday. The legacy that my mother and I discussed was Oral’s courage. And Sarah mentions how his final years were spent telling us all to be obedient. Let’s put it together. Be courageously obedient to God. That’s a good treasure to leave behind.